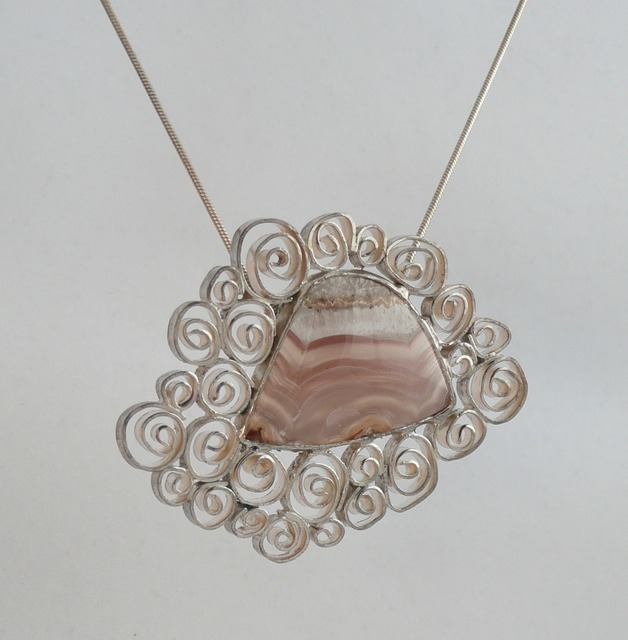 “With Love from Jack Frost”, fine silver, sterling silver, lace agate. 2.5” x 2”, 18” chain, 2010. Retail $300.